I may have to check my calendar, but I’m pretty sure it’s a day that ends in “Y,” as evidenced by Gotham adding yet another cast member that can safely be described as a villain. 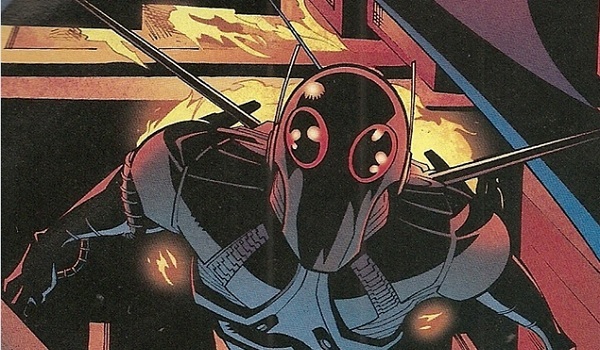 The latest baddie to shake up the criminal status quo in Gotham City is the DC comic book enemy Firefly. But there’s a big difference from the character’s fictional origins: instead of a male, it’ll be a woman, and she’ll be played by the relative newcomer Michelle Veintimilla. Veintimilla will play not only Firefly, of course, but also her real life alter ego, who is going by Bridgit Pike in this universe, rather than Garfield Lynns or Ted Carson from the comics. If the name Pike sounds familiar, that’s because former Wire star Leo Fitzpatrick was recently cast as Joe Pike, the leader of a squad of goons. Yes, the two are connected. According to TVLine, Bridgit Pike will show up in the fifth and sixth episodes of Season 2 as a young woman forced into her family’s lawless practices. But she won’t be enslaved for long, as she develops her firebug personality after meeting Selina Kyle, who will apparently be building up to her future as Catwoman this season. A deadly meeting with the Pike Brothers solidifies Bridgit’s turn to the dark side, and she’ll stop at nothing to do damage to those who have done her wrong. Just like everyone else in that damned city, I guess. First appearing in 1952, Garfield Lynns’ version of the Firefly was a visual effects and pyrotechnic wizard who first butted heads against Batman while trying to rob a theater, and later used his craft to help his criminal behavior with lighting effects and optical illusions. Ted Carson’s initial version found his way to villainy after blowing his family’s gold mine fortune, and thereafter blew a lot of things up. Then in the New 52, he was a former high school teacher whose pyromaniac ways were used to get to his ex-girlfriend. The character has been seen in The New Batman Adventures, Justice League, Batman: The Brave and the Bold and The Batman. He was also in a Season 1 episode of Arrow, but this’ll obviously have nothing to do with that. Starting with a bit role on One Life to Live, Veintimilla moved on to the web series Redwood Time and a recurring role on the shortlived drama Those Who Kill. She popped in for one episode of The Good Wife earlier this year and is currently filming the thriller The Depths. She’ll also be seen in Russell Crowe’s next flick, Fathers and Daughters. When it comes down to it, we’d rather see Gotham star Morena Baccarin getting to once again star with that other Firefly, but we’re interested to see how this new villain pans out. Gotham Season 2 – which will also introduce Mad Hatter, Calendar Man, Hugo Strange, Mr. Freeze, Tigress and more, in addition to those already inhabiting this world – will premiere on Monday, September 21.